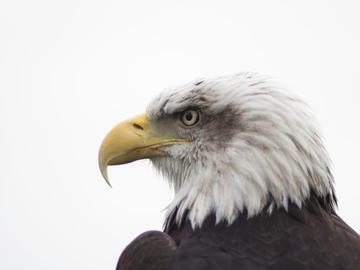 Rains County will be a destination for lovers of eagles. This festival celebrates Rains County being declared the "Eagle Capital of Texas" by the Texas Legislature in 1995 as part of an effort to protect and preserve the American Bald Eagle. Lake Fork, Lake Tawakoni and the surrounding areas are nesting and feeding grounds for bald eagles and over 260 other varieties and species of wild birds. The highlight of the festival is the bus and barge tours to the lake to see the bald eagles in their natural habitat. The festival venue includes bird and animal exhibits and programs, live entertainment and music, as well as educational speakers. Saturday's tours will be on Lake Fork. Rains County Eagle Fest is scheduled to include more than just chances to view the majestic birds in their natural habitat. The event will also feature animal encounters, live entertainment, boat tours, bus tours, vendors, food and much more. Eagle Fest is scheduled Saturday January 19th, 2019 and will be centered on the campus of Rains Elementary School, 372 FM 3299 just off U.S. Highway 69, about two miles west of Emory. General admission is $5 per person, with children 12 and under admitted free. This year’s Eagle Fest includes presentations from Last Chance Forever, the Blackland Prairie Raptor Center, Teaming With Wildlife and more; Aztec Dancers, snake encounters, bus and barge tours to Lake Fork. Barge Tours will be Saturday morning. Bus Tours will be to Lake Fork Dam. Tickets are $5 and can be purchased at the event. Time of tours will be posted soon.